Kim Walnes, rider and trainer of Hall of fame inductee the Gray Goose, member of the USET 3 Day Eventing Team from 80-86, winner of Individual and Team Bronze Medals at the 82 World Championships and FEI dressage trainer. Manolo has an innate bond with horses, he is sympathetic and puts their wellbeing first and foremost. 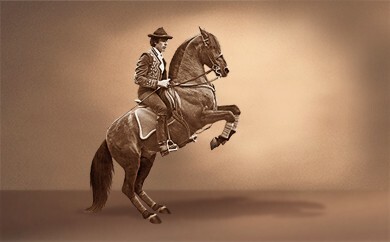 He is a true master of instilling a correct foundation of suppleness and creating a swinging back into the horse and strives to impart the knowledge of how to do so into the rider. His timing and skill while working the horse in hand is truly amazing! I have worked with many international trainers and coaches and Manolo has the best understanding of the horse from the horse's point of view. I have complete trust in his training methods, totally agree with them and they compliment what I try to instill in my students as well. 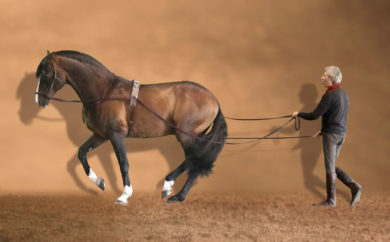 The horse's best interest is never compromised and at the same time the potential of the horse can be fully reached. 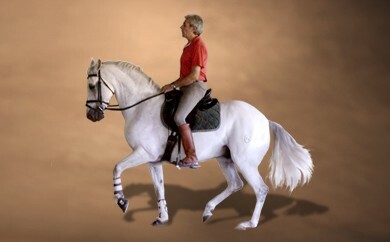 Manolo is not just a master of dressage, he is a master of dressage as therapy for horses.